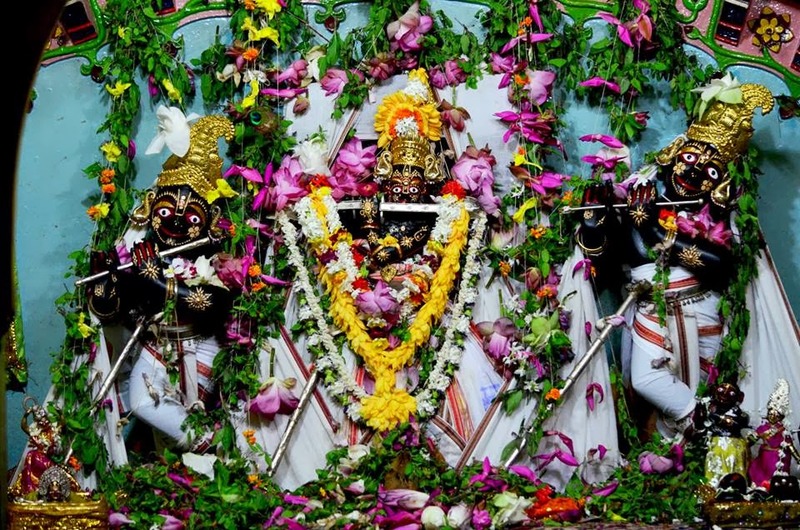 Ksira-Chora Gopinatha in Remuna, Orissa ~ The Toronto Hare Krishna Temple! As many of you know, our beloved deities, Sri Sri Radha Ksira-Chora Gopinatha are named after the famous deity found in Orissa. When the deities arrived in Toronto, devotees wrote to Srila Prabhupada that Krishna was a bit chubby. Srila Prabhupada then named them Sri Sri Radha Krisa-Chora Gopinatha after the deity in the Orissan village of Remuna, our Temple also became known as "New Remuna Dhama." "Ksira-Chora" means "one who stole sweet condensed milk" and there's a special pastime (see below) about how He received this name. Recently we came across some rare photos of Ksira-Chora Gopinatha in Remuna, normally photography is not permitted so these amazing photos are a rare treat! (Photos courtesy of Arjun Bhattacharyya Photography). The Name "Ksira-chora" means "one who stole condensed milk." 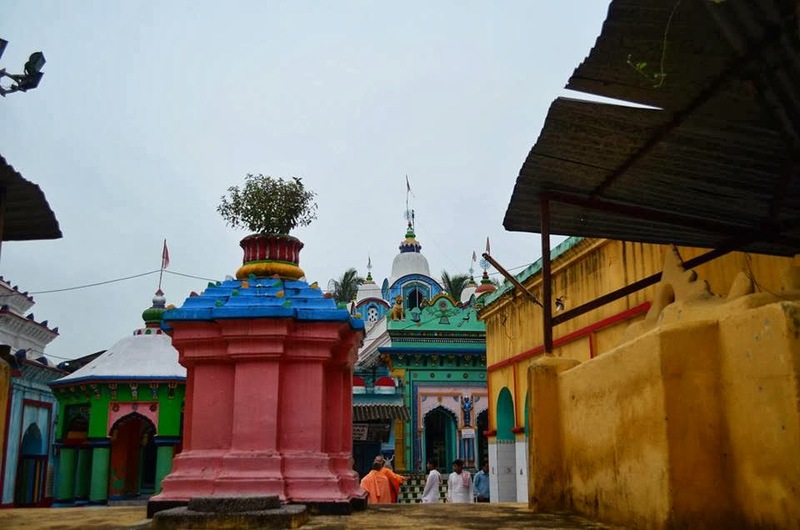 When Lord Caitanya visited the Gopinatha temple in Remuna, He told the devotees traveling with Him how the Deity had come to receive that name. Lord Caitanya had heard the story from His spiritual master, Isvara Puri, a disciple of Madhavendra Puri. As related in Caitanya-caritamrta, it is Madhavendra Puri for whom the condensed milk was stolen. 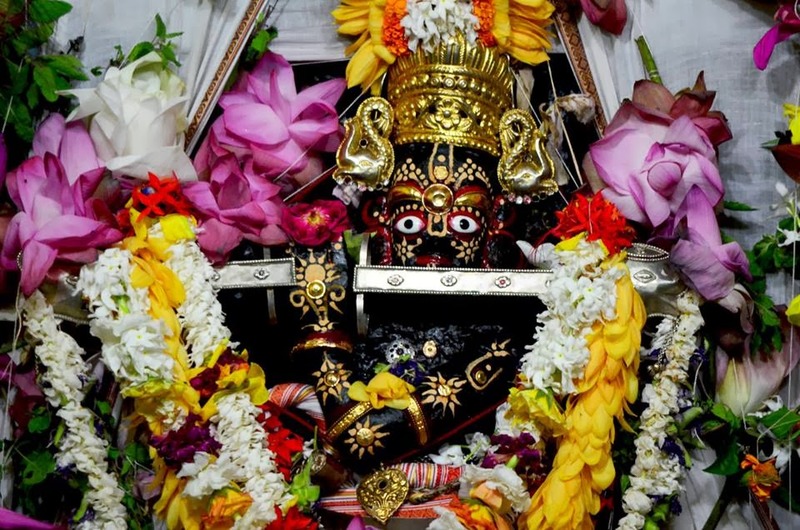 Madhavendra Puri was a highly advanced devotee of Lord Krsna. 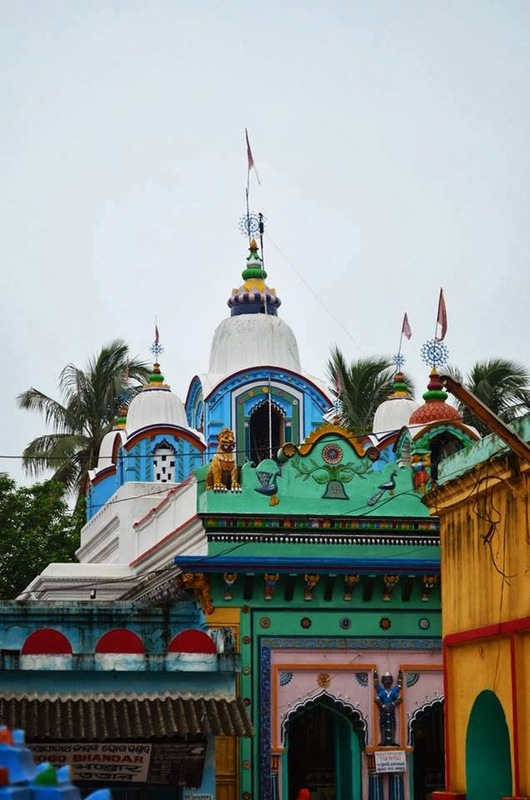 While living in Vrndavana absorbed in remembering the pastimes of the Lord, he saw Krsna appear in a dream and tell him He had been buried for a long time in a jungle nearby. Krsna wanted Madhavendra Puri to dig Him up. 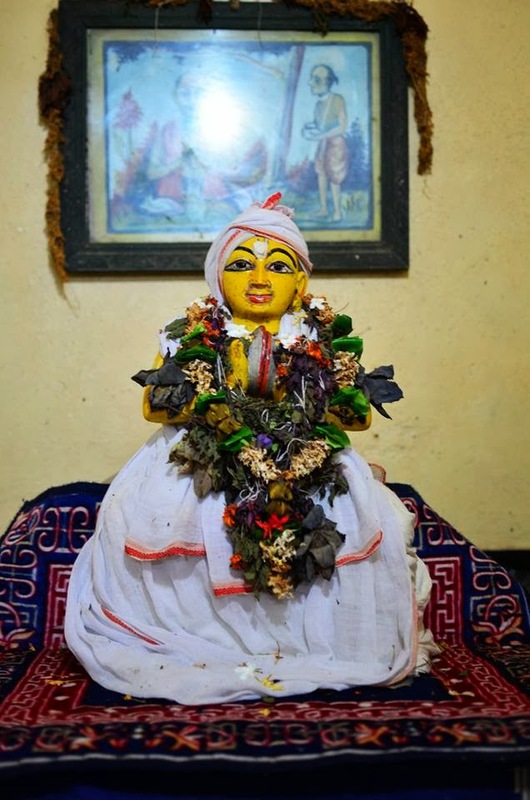 Following the Lord's instruction, with the help of the local people Madhavendra Puri discovered a Deity of Krsna named Gopala. 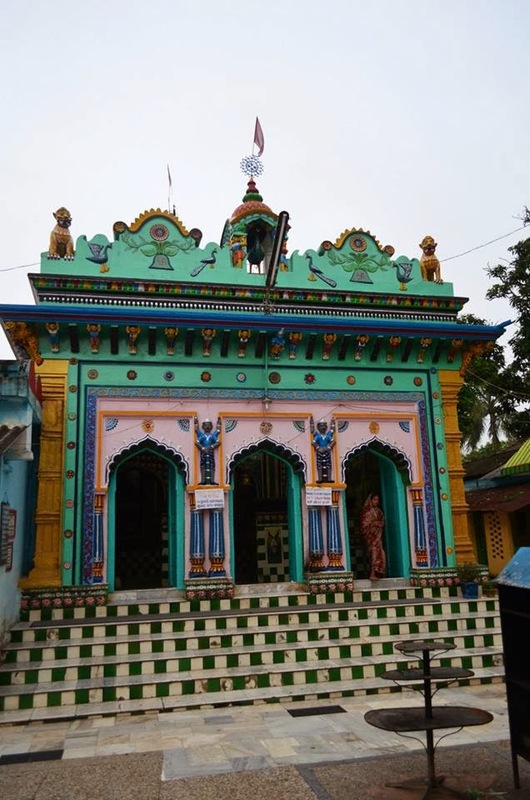 Madhavendra Puri built a temple for Gopala and served Him for two years. Then again one night Gopala appeared to him in a dream and asked him to go to Orissa to get sandalwood to smear on His body. 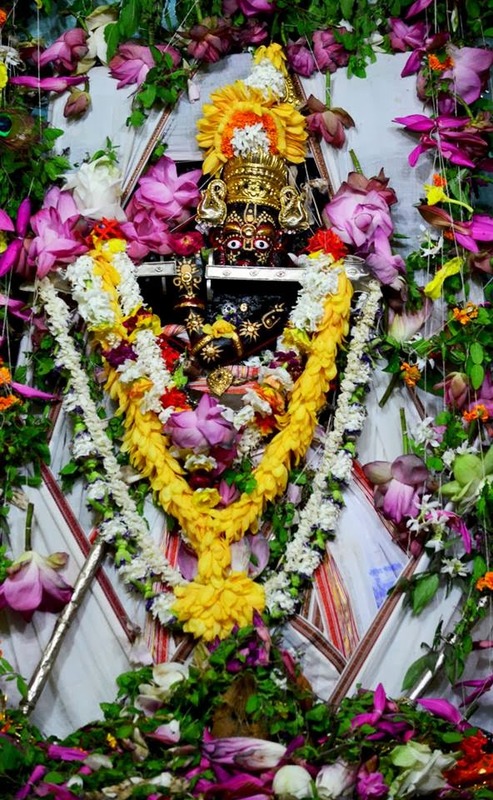 On the way to Orissa, Madhavendra Puri stopped at the Gopinatha temple in Remuna. He asked the priest what kind of food was offered to Gopinatha, thinking he could offer the same preparations to his own Deity, Gopala. 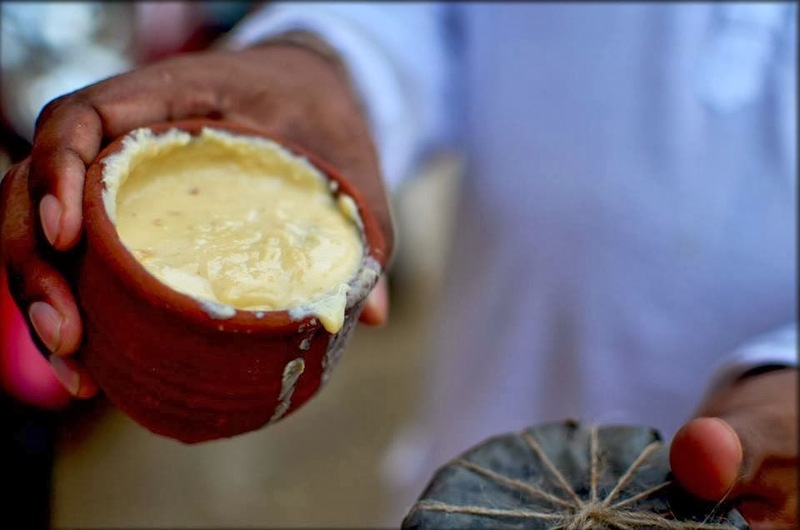 The priest mentioned the condensed milk (ksira) known as amrta-keli, which was famous because its taste was nectarean. That evening, while the priest made an offering to the Lord, Madhavendra Puri thought that if the priest were to offer him some of the condensed milk he could taste it and then be able to prepare it for Gopala. He then at once became ashamed for thinking of tasting the Lord's food during the offering. Feeling he had committed a great offense, he left the temple and went to a vacant marketplace to chant the names of the Lord. Later that night, the Gopinatha Deity appeared in a dream to the priest and told him He had hidden a pot of condensed milk behind His cloth. Gopinatha told the priest to deliver the condensed milk to a saintly person named Madhavendra Puri. The priest did as told. Madhavendra Puri felt ecstasy to learn that the Lord had stolen condensed milk for him. After drinking the milk, Madhavendra Puri kept the pot, and every day he would eat a little piece of it.